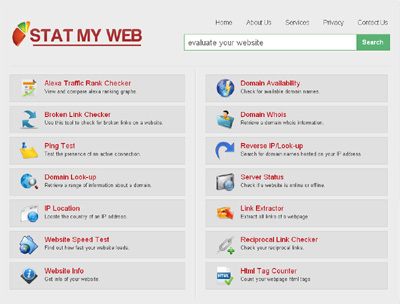 Statmyweb provides detailed and accurate statistics of websites across the web. It lets you explore any website information along with its history. Stat My Web provides detailed stats like – when it was created, where is it hosted, how much is it worth and where does it rank on the web. In addition, it shows estimated visits, Alexa traffic rankings, Geo tracking, domain name analysis, keywords ranking, indexed pages and links analysis. The list does not end here. There’s much more information you can browse about any website on the internet at Stat My Web. Next post: Siri Humor, Funny Siri Responses, Things Siri Says – Siriously?